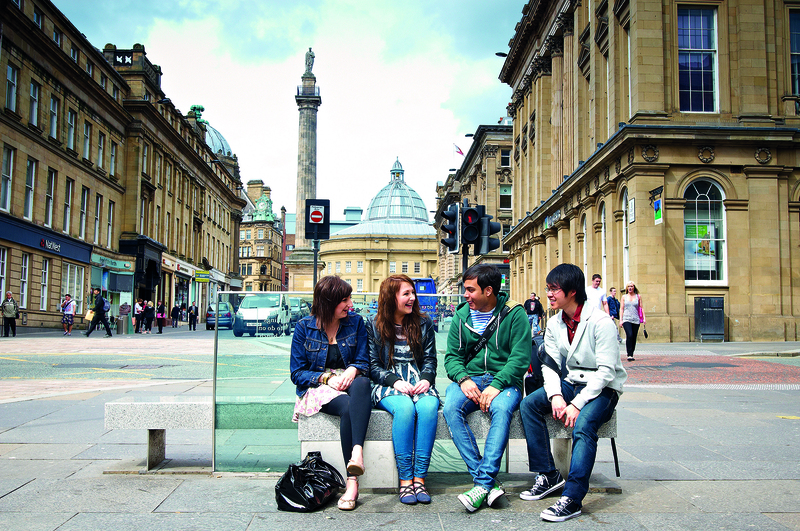 Newcastle is one of the most popular student cities, so you'll be part of a strong community. The city has great nightlife and shopping, along with iconic landmarks such as the Angel of the North and the Tyne bridge. This historic, bustling city was rated number one place in the world to visit in 2018 (Rough Guide 2018) so there's plenty to see and do. Newcastle is one of the UK's iconic northern cities, with stunning Georgian-era architecture mixed with a visible industrial heritage - it's the friendly, modern heart of North East England. Nightlife. Known around the UK for its lively bars, pubs and restaurants. Shopping paradise. From top high street brands at intu Eldon Square shopping centre to independent retailers at in the High Bridge Quarter, Newcastle has it all. Stunning coastline. Northumberland's dramatic coastline boasts unspoiled beaches and historic sites like Lindisfarne and Bamburgh Castle. Industrial legacy. Explore Newcastle's historic Quayside area for a walk or bite to eat alongside the iconic Tyne Bridge. 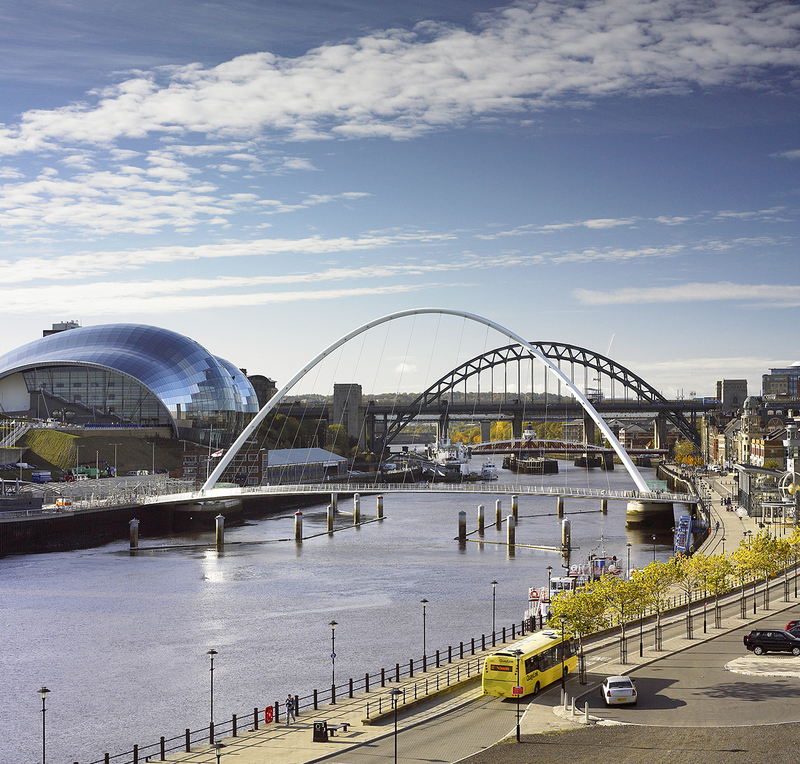 Then head to the Baltic Centre for some contemporary art. Newcastle is famous for its nightlife, which is among the best in the UK. From great club nights to well-known DJs from around the world, there's always something going on every night of the week, whatever music you're into. Popular venues and include Shindig, Digital, Tup Tup Palace and The Gate. 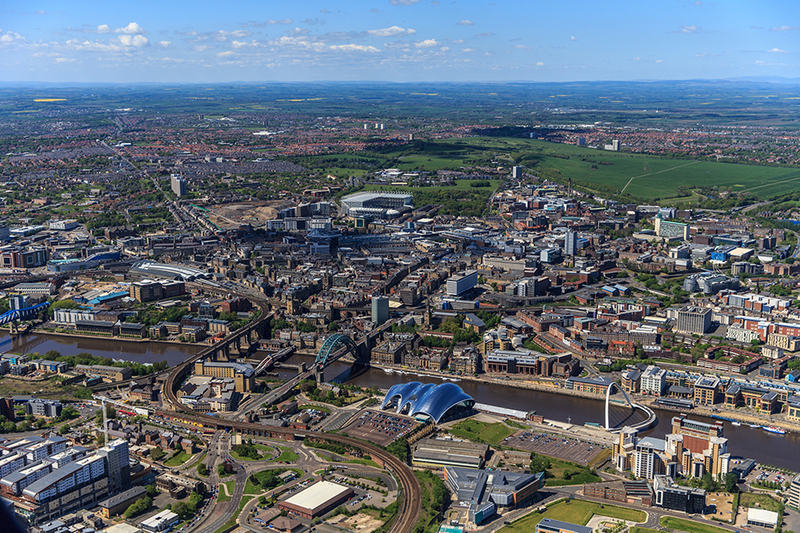 Newcastle's Bigg Market area is known for its lively nightlife whilst the Quayside offers a more relaxed evening. When it comes to sport in Newcastle, St James' Park looms large in the city centre. Home to Premier League football team Newcastle United, the stadium is one of the biggest in the UK and backs onto the historic Leazes Park. Newcastle United are known for their passionate fans and match day is a big event in the city. If football is not your thing, the Newcastle Falcons rugby union team play at Kingston Park in The Rugby Premiership. If you fancy a bit of rugby league you can also watch Newcastle Thunder play here. Newcastle also boasts the most successful British basketball team in Newcastle Eagles. Want to get involved in a sporting event? The Great North Run is the largest half marathon in the world. Even if you don't fancy running yourself you can go along to cheer on the athletes as they stream past! You’ll be spoilt for choice when it comes to food in Newcastle. There’s a huge variety of restaurants and cafés, including many budget options. The Settle Down Café is a cool spot to hang out with friends and enjoy a slice of cake or a comforting bowl of soup, while the Tyneside Bar Café offers a great menu of grilled sandwiches, curries and salads. Ernest is a popular café-bar which is perfect if you’re looking for tasty homemade food at a reasonable price. 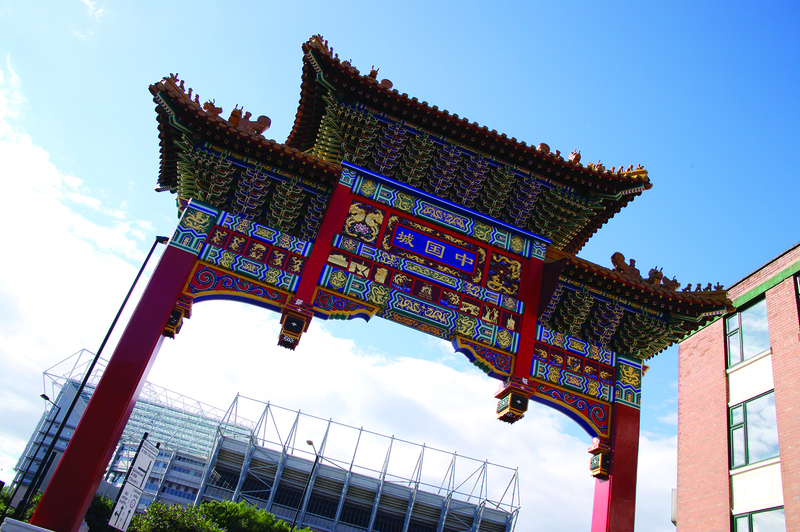 Eldon Square and Grey Street are great spots for dining, with plenty of restaurants, cafés and snack spots to choose from, and Newcastle’s own Chinatown is within walkable distance from the city centre. Whether you’re looking for comfort foods to remind you of home or are looking to try some of the local specialties, you'll find plenty of choice here. Newcastle is known for stottie cakes, pease pudding and brown ale. You could also try Pan Haggerty, a hearty potato dish. For more budget-friendly options, Newcastle has a collection of great street food outlets. You'll also find popular chain restaurants in The Gate entertainment centre and intu Metrocentre. If you want something a little more special, the Quayside and Gateshead offer a brilliant selection. Newcastle is one of the best places in the UK for shopping, offering designer brands and independent boutiques - all in one compact, easy to navigate city. If you're looking for big global brands, intu's Metrocentre and Eldon Square Shopping Centre have you covered. Two of the largest shopping centres in the UK, with more than 500 shops and services between them, will satisfy even the biggest shopaholic! Take a walk through Central Arcade and be transported back in time inside this beautiful Victorian glass-ceilinged mall, offering a selection of high street outlets. If you're looking for something more unique, try Newcastle's Fenwick Department store, with their glorious Christmas displays. Or, if you want that classic British look, head to the Barbour Factory Shop in Jarrow. In the High Bridge Quarter you can browse market stalls and vintage shops, or visit another of Newcastle's many traditional markets from the Quayside to Tynemouth Farmer's Market for fresh produce. Mouth of the Tyne Festival - a varied mix of musical acts. Tipping Point Live - a small music festival taking place in multiple venues in Ouseburn Valley. Winter Festival - an annual celebration featuring New Year fireworks and an ice skating rink. The Great North Run - The world's largest half marathon, every September. Newcastle Poetry Festival - celebrating some of the best poetry from around the world. After a few weeks of living in Newcastle, you’ll begin to have a better understanding of what things cost. This is the ideal time to look at your finances and create your budget so you can keep track of your money. Newcastle is a compact city, so making your way around on foot or on a bike is often a great option. The Tyne and Wear Metro rail system (much like the London Underground) is one of the best ways for getting around the city – it services the city centre, airport and railway station, and there are stations close to the campus. If you need to travel a little further, the central train station offers quick connections to London, Scotland and the UK's major cities. And the Metro has over 60 stations across Newcastle for easy access to a host of locations, including Gateshead, North Tyneside and Sunderland. A bus ticket will cost you around £3 and subway tickets range from around £2 to £4. You can use your Newcastle University Student ID to buy tickets and travel around the city on the Metro. Prices start from £26 for four weeks.